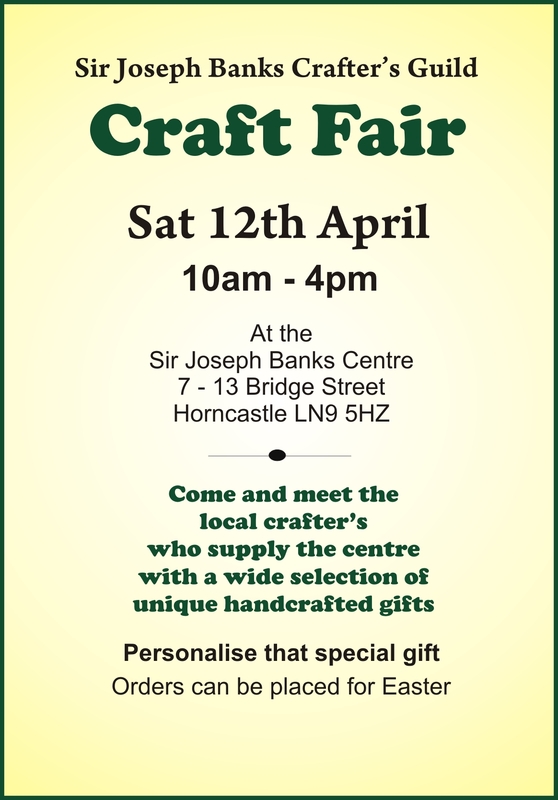 The Joseph Banks Centre on Bridge Street in Horncastle will be hosting another fabulous Craft Event on Saturday 12th April, ahead of the Easter weekend. If you are in the area and fancy popping in it would be great to see you! There will be several local crafters instore and, weather permitting, in the garden, each with their own unique collection of handmade goods for sale. I will be sitting in a quiet corner somewhere (as ever!) giving a demonstration on needle felting, so if you see me don’t be shy – come over and say hello! Many of the gifts on sale are suitable for personalising so this is something worth considering as it makes a fabulous gift even better! Also we will be happy to take orders for Easter i.e. if there is something you want in a different colour/design/whatever….simply ask and we will do our best to accommodate.